We deliver to most of Portland west of East 82nd Street, north of Milwaukie. In Washington County, and on the east side of Hwy. 217, we deliver down to, but excluding, Lake Oswego. On the west side of Hwy. 217, we deliver to Beaverton, Aloha, and Hillsboro north of Farmington Rd to 209th Ave. West of 209th, we deliver North of TV Hwy. North of Hwy 26 we deliver west of Miller Rd. and south of Laidlaw Rd to Bethany/Kaiser Rd. West of Bethany/Kaiser Rd we deliver south of Springville Rd. 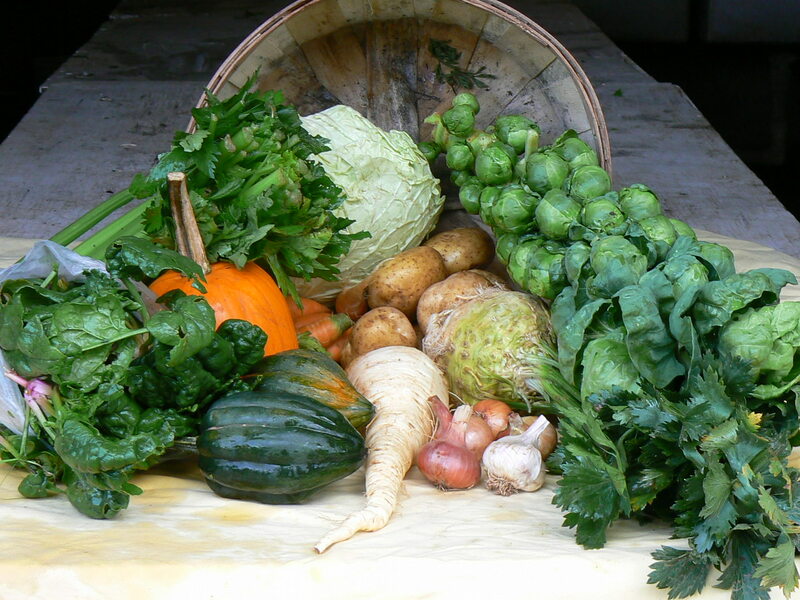 We do not deliver west of North Plains, although we do have facilities for pick up at the farm. There are some pockets of our delivery area that are too difficult or time-intensive for us to reach with our refrigerated truck. If you are unsure about your address, call or email us for more specific information. In many ways, our farm is like your personal garden, with us as your personal gardeners. Just like in your own garden, the vegetables we grow won’t necessarily hold in the garden from one week to the next, and so we are not able to offer refunds to you when you are away. If you will be gone and not able to use a week’s delivery, we can do one of three things: 1) you can have a friend or neighbor pick up 2) we can skip the delivery and do our best to give you more of those things that do hold when you return or 3) we will donate that week’s basket. The non-refundable deposit you sent in is applied to the final two months of the subscription year (April & May). The balance is billed in ten monthly installments (June through March). While we have divided the cost of your share into a deposit and ten equal installments, the actual value of the baskets you receive will fluctuate with the bounty of the garden. We prefer to interact with our subscribers on a personal level. We do not charge interest for late payments but ask that you are considerate of our cash flow needs by being timely. If difficulties arise for you, we are open to alternative timelines and simply ask for open communication. If you order extra items from us (eggs, flowers, plant starts, etc.) we will bill you for them at the beginning of the following month (ie. items received in July will be billed the first week of August). We accept cash, checks, or bank transfer payments. Checks (our preferred method) may be mailed to us at 31067 NW Pumpkin Ridge Dr North Plains OR 97133 or simply left in your empty basket for our driver to collect. Many people opt to have checks sent to us through the bill-pay function on their bank’s web site (very secure). You can also use the payment option on the emailed monthly invoice to send your payment directly to our bank account. For those who choose to pay in full at the beginning of the year we offer a small discount (see the Prices page for details). As farmers, we make a 12-month commitment to our subscribers to work hard and do all we can to meet or exceed our projected harvests and to insure that your vegetables arrive at your home as fresh and clean as possible. Likewise, we need a similar commitment from our subscribers in order to survive as a small business. Because many of our crops are started as much as a year prior to harvest and because 100% of our vegetable production is dedicated to our subscribers, we expect our subscribers to remain with us for the full 12 months. We do understand, though, that unexpected circumstances may force someone to cancel their subscription early. In these cases, the non-refundable deposit you pay at the beginning of the year is forfeit and you are responsible for the number of baskets you have received at the average weekly basket price. In order to adjust our delivery route and harvest, we need a minimum of 14 days notice of cancellation. This means that you will be responsible for at least two deliveries after the day we receive your cancellation notice. On rare occasions, conditions beyond our control force us to cancel a delivery. In these cases, we do our best to make up the lost delivery with extra veggies in future weeks. It is important to remember that weather and other conditions may increase, delay, or decrease our planned harvest.